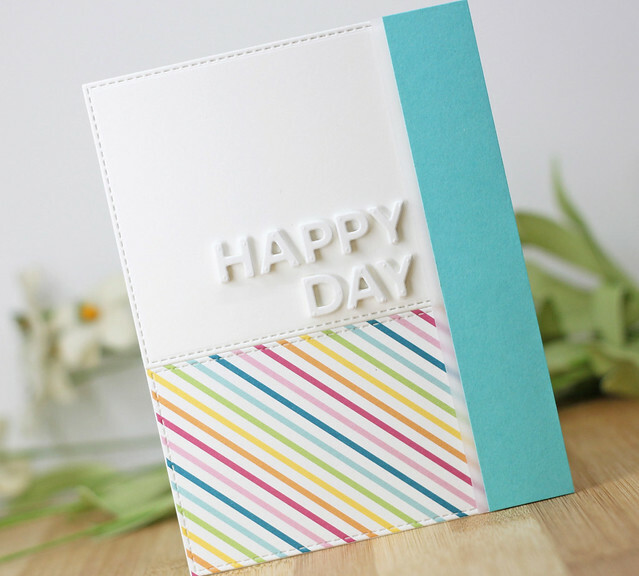 To create this card, I used MFT's Dienamics Essential Cover-Up and cut 3 of the stitched rectangles from the plate. I added 2 of them to a white card base with foam tape. 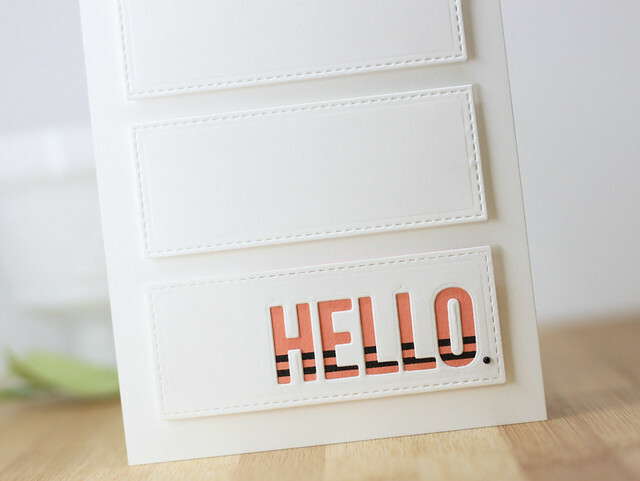 With the last rectangle, I die cut the "hello" from the Happy Greetings die set. 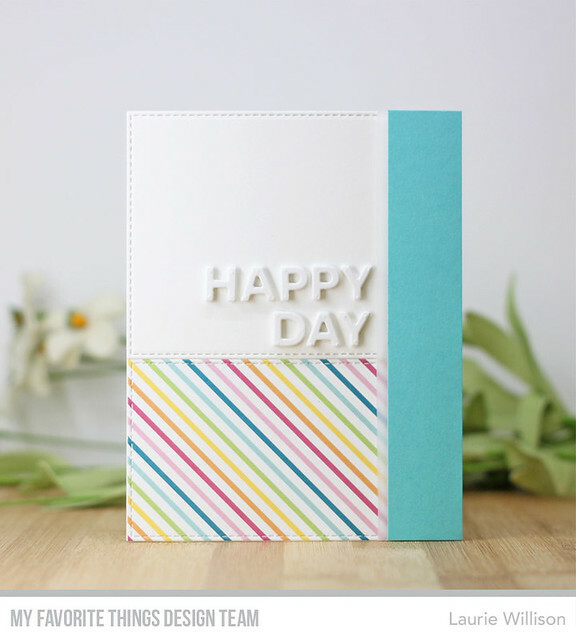 I grabbed a piece of Coral Crush cardstock and stamped a few stripes along the bottom, using the Tripe Stripe Background stamp. 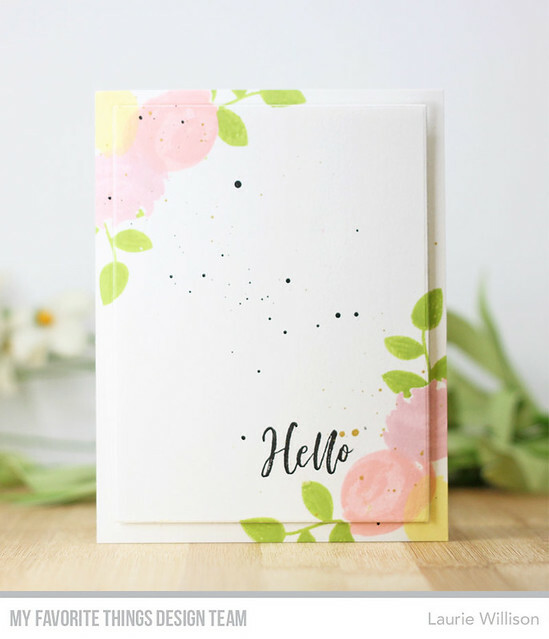 I layered that behind the hello die cut and then popped that up on the bottom of the card. 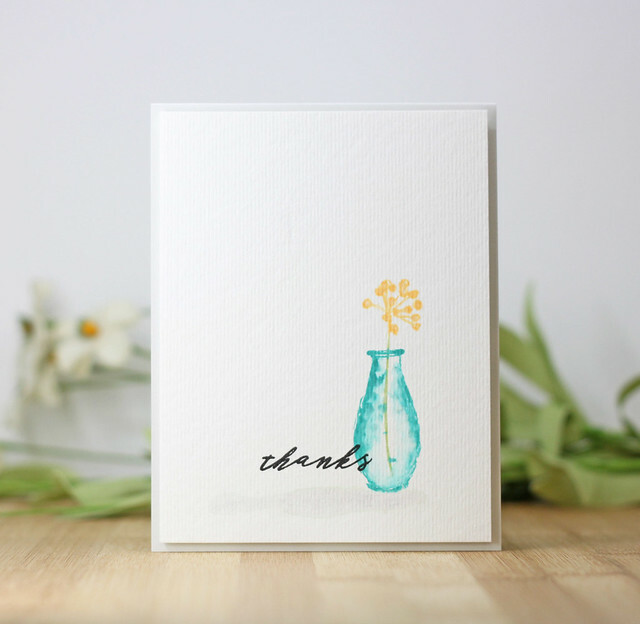 Last, I added a little black liquid enamel dot to the card front and called it a day! 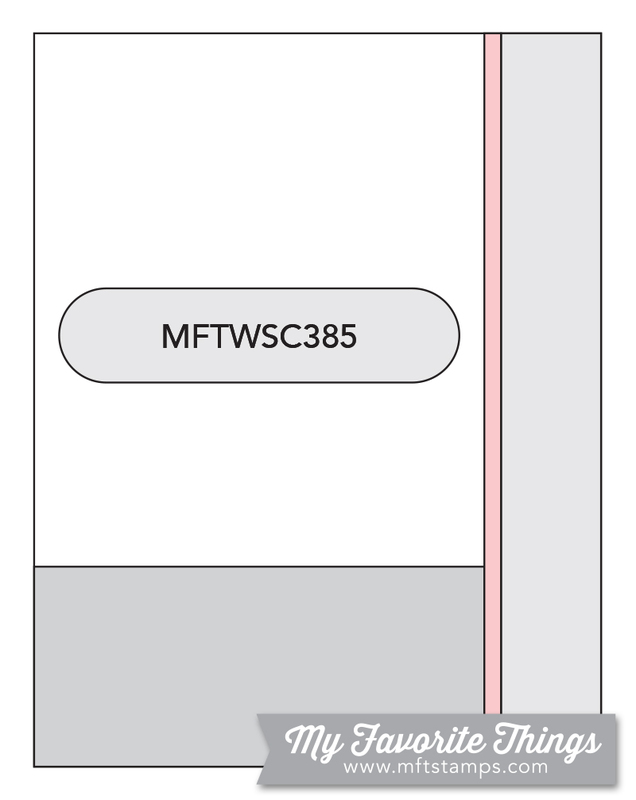 The MFT Challenge Blog will have more details about this weeks sketch. I hope you can play along too! Have a great day! Congratulations to Sherri Little! 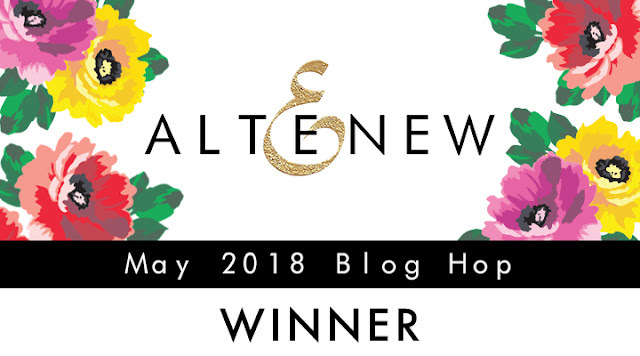 You are the winner of a $30 Gift Certificate to Altenew! Please email me at llwillison@gmail.com. 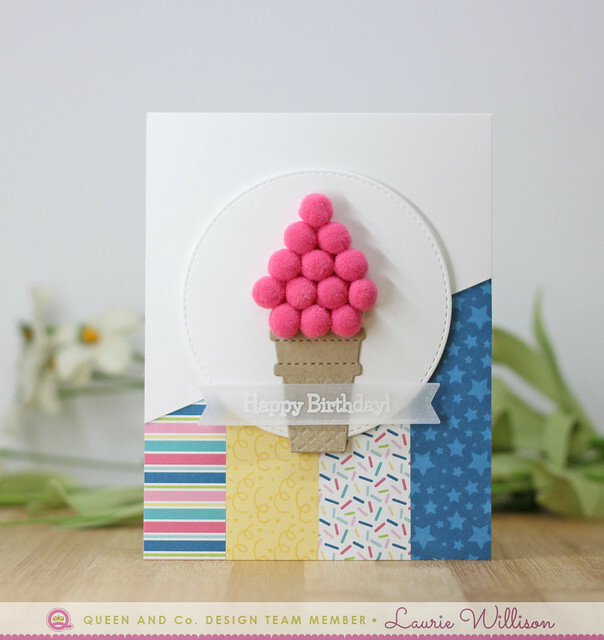 The new Birthday Bash Kit from Queen and Company is so much fun!! 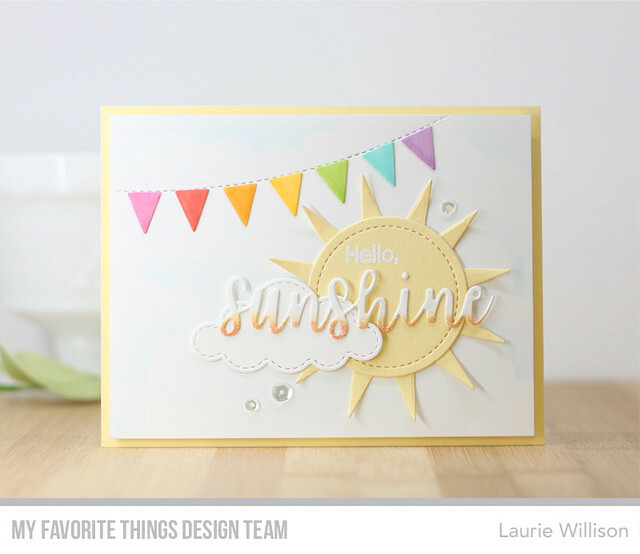 Laurie Willison here bringing you 2 cards using all the new poms! This card was quick and easy to make. 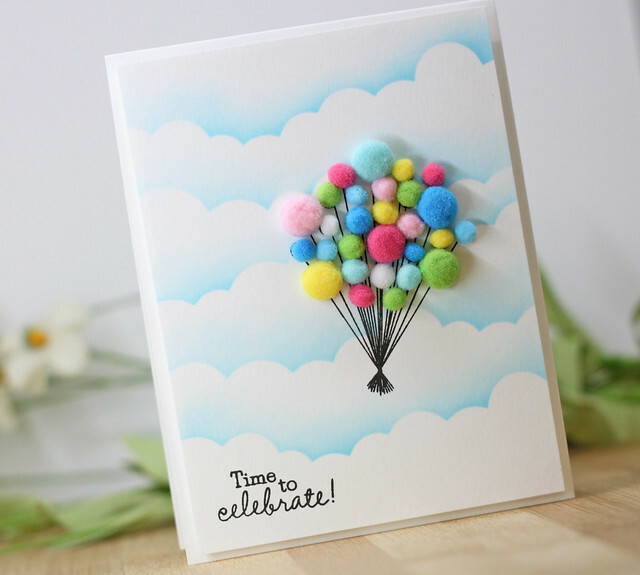 I stenciled in some could, stamped the balloons and the sentiment in black ink and then added in the poms. 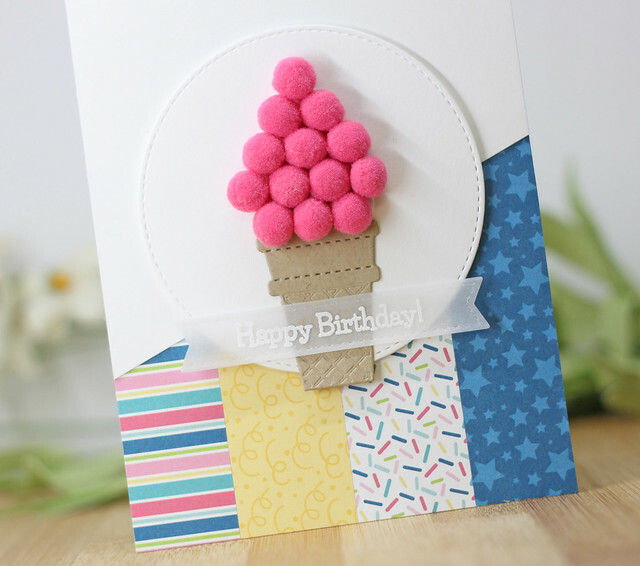 The stamp helps you place the pom poms perfectly. I added 4 strips of patterned paper on the card base and then added in a diagonal piece of white cardstock down next. I added a circle die cut in the middle to hold the ice cream cone. Last, I die cut and heat embossed this little banner for the sentiment. Easy Peasy! Working with this kit is so much fun! I hope you will head over and check it out. Thanks so much for coming by today! 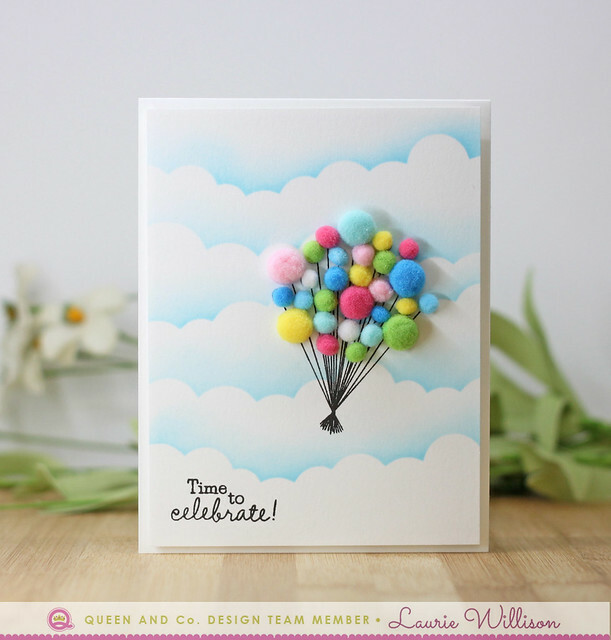 Welcome to day 2 of the May MFT Card Kit Countdown. Are you like what you have seen so far? The Painted Prints Kit is so beautiful! 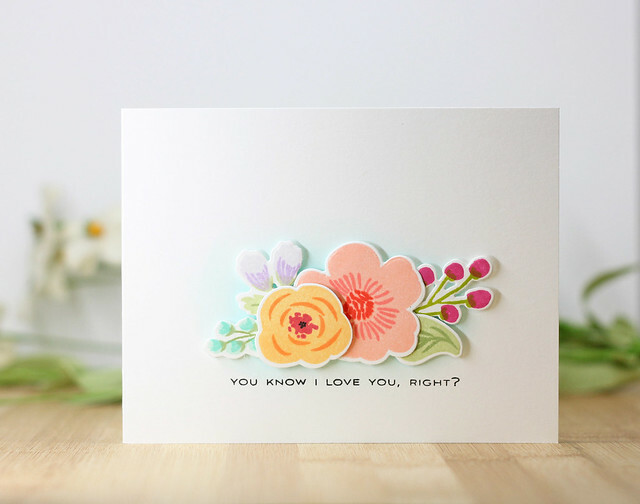 To create this card, I stamped one of the flower images to cover the whole card front. Once I had it all stamped, I couldn't bring myself to cut into it. I added a scalloped rectangle in vellum to the front. 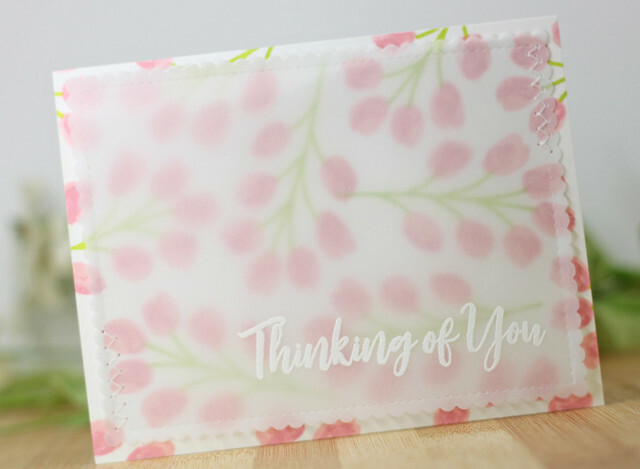 I attached it by adding a little zig zag stitched to each side after heat embossing that beautiful sentiment to the front. Everything you are seeing so far will be available on Tuesday, May 22 at 8pm CST. So glad you stopped in today! Hi friends! I am thrilled to be joining the girls over at Altenew again this month for the May 2018 Release. 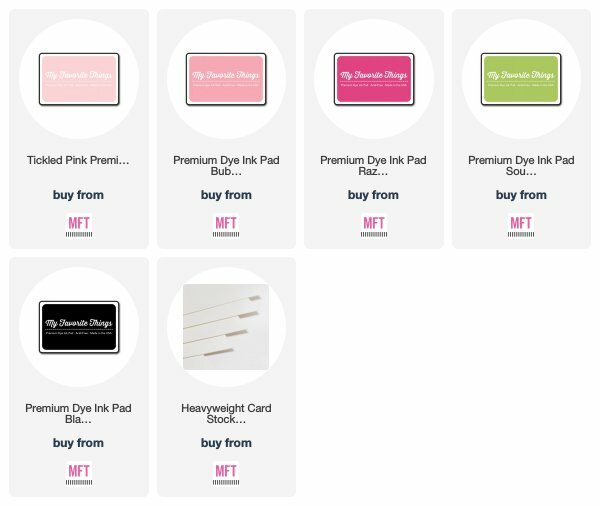 There are some amazing new stamps and dies that make my clean and simple card making heart very happy! To check out the entire new May Release, click HERE. 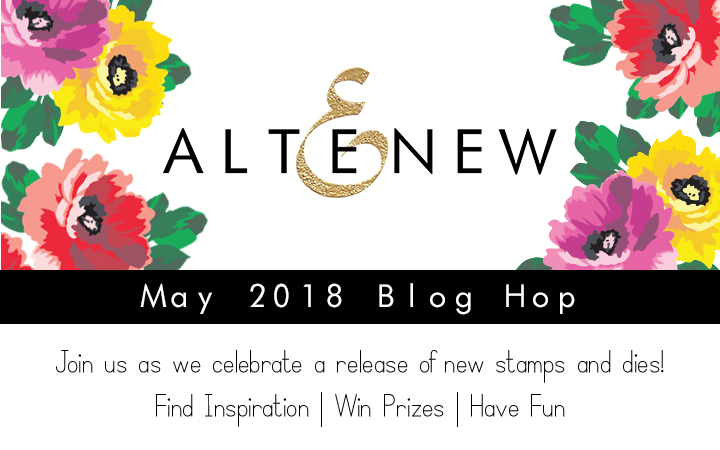 Hang out with me for a few minutes and check out the projects I have for today, along with some details about the prizes from Altenew. There is a new floral set that totally made me smile. It's called Bride to Be! To create this card, I added a little bit of ink blending in the background for a slight blue haze. 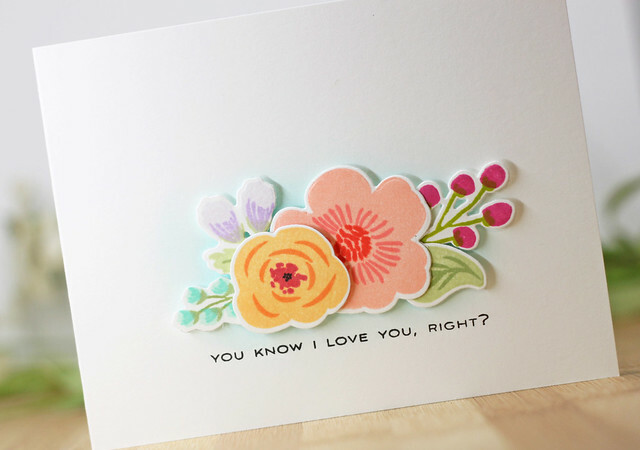 Then I stamped and die cut the flowers and made a simple grouping using my Press N Seal trick. (You can check out my video HERE.) Last, I stamped the sentiment from the Best Mom set. 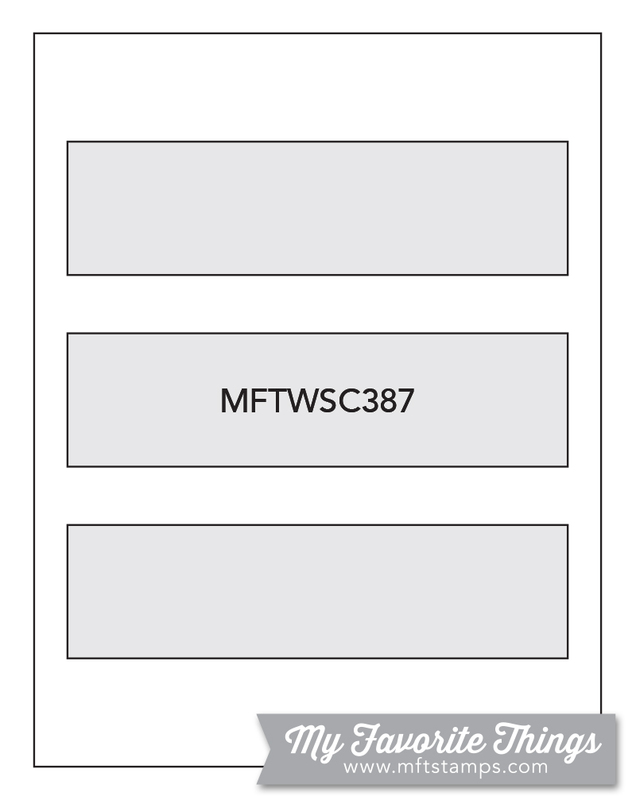 To create this card, I stamped the images along the bottom of the card front. I die cut a large rectangle in the card front so I could pop the center rectangle up on foam tape. 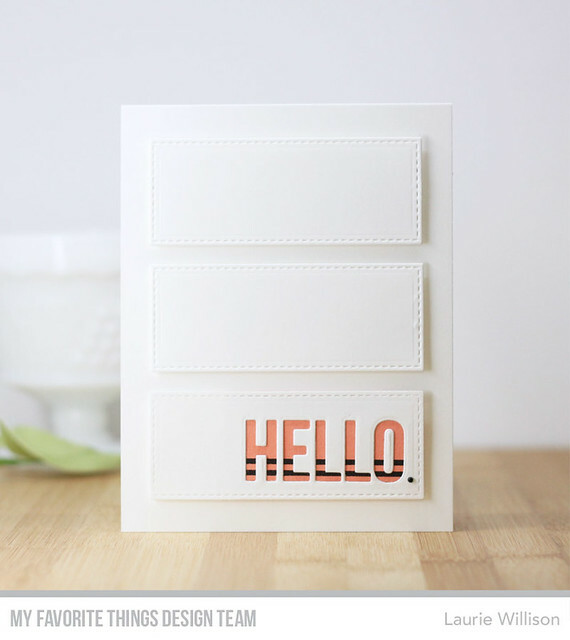 Last, I die cut the word Hello in white card stock and in fun foam so I could add it to the card with some dimension. Clean and simple! 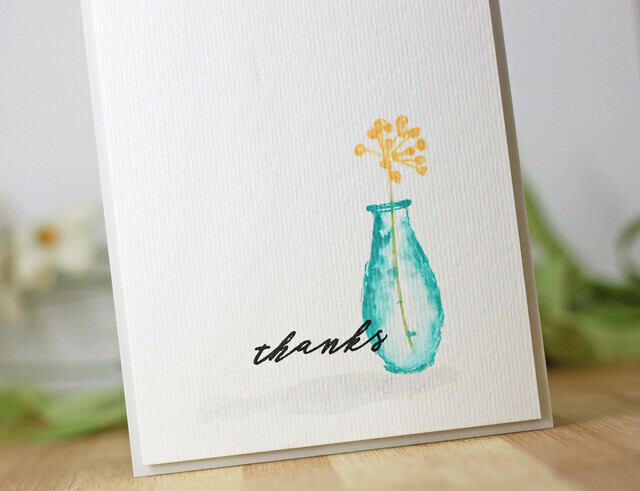 I kept this one simple and stamped the vase and flower on watercolor paper. I added a little water to the vase and it gave it a really pretty effect. I added a little shading with a comic along the bottom and then stamped the sentiment in black ink. So glad you stopped by today. Thank you so much! Hope you have a great day! OH my word. 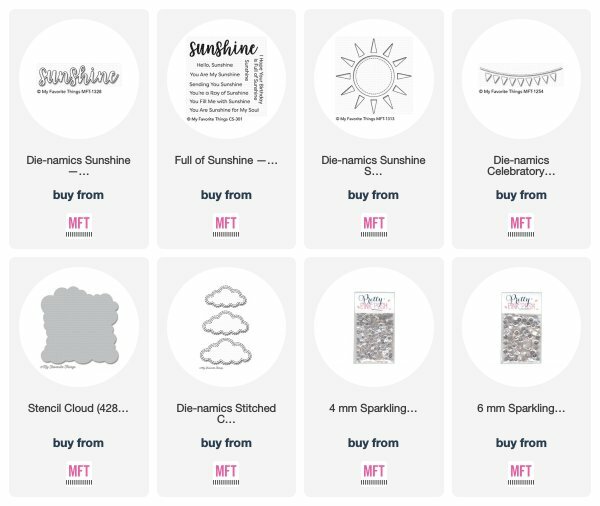 Are you ready for a fabulous new Kit from MFT? Well you'll have to be patient for a couple days of the countdown but on Tuesday, May 22nd at 8pm CST this amazing kit will be available for purchase. So for today....I have a sneak peak for you. 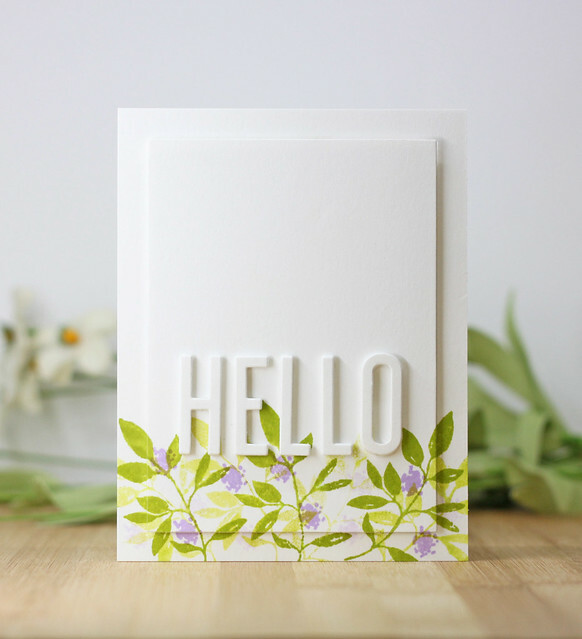 If you love quick and simple, or clean and simple or white space like I do, this kit works perfectly just for that! 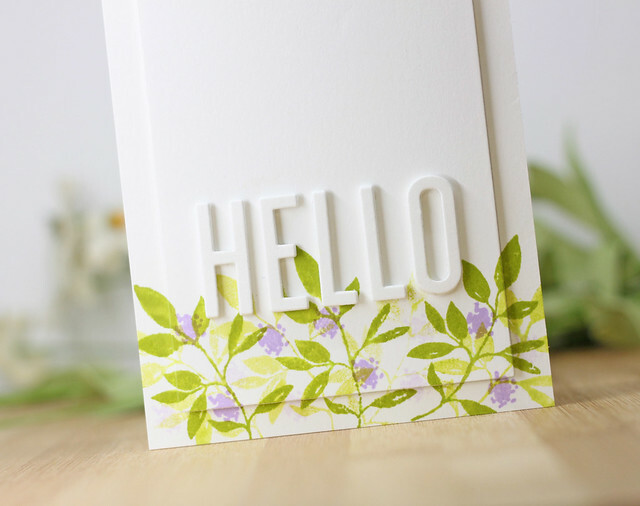 To create this card, I stamped a row of flowers on the bottom of a card front panel. This flower here is a 3 step flower and so very easy to line up. Next, I stamped the sentiment along the bottom. 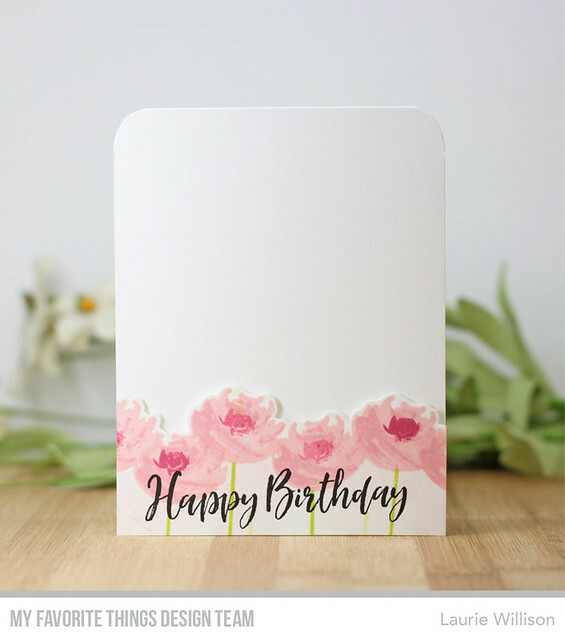 Because I stamped the flowers overlapping, it was super easy to fussy cut along the flower edges and create a border out of the panel. I popped it up on foam tape onto a white card base so there would be some dimension in the card. And done! So simple! 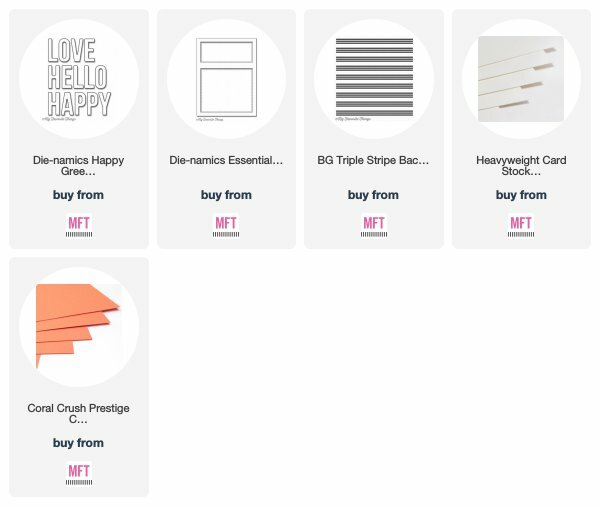 Stop by the MFT Blog for a list of design team blogs to check out. 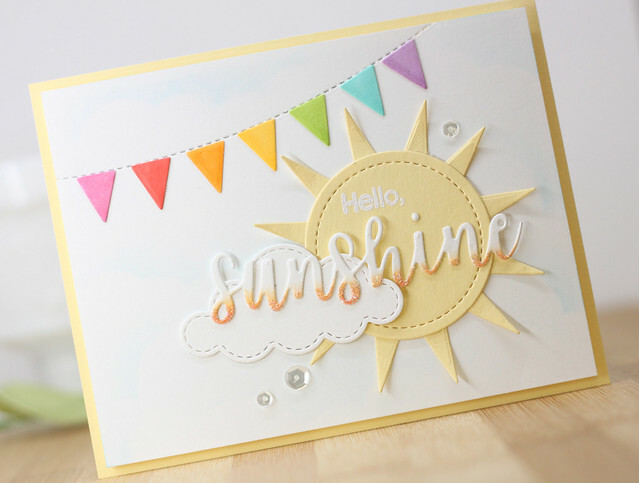 Stay tuned for Day 2 of the Card Kit tomorrow too, to see lots more! There is a new sketch challenge over at the MFT Challenge Blog today. 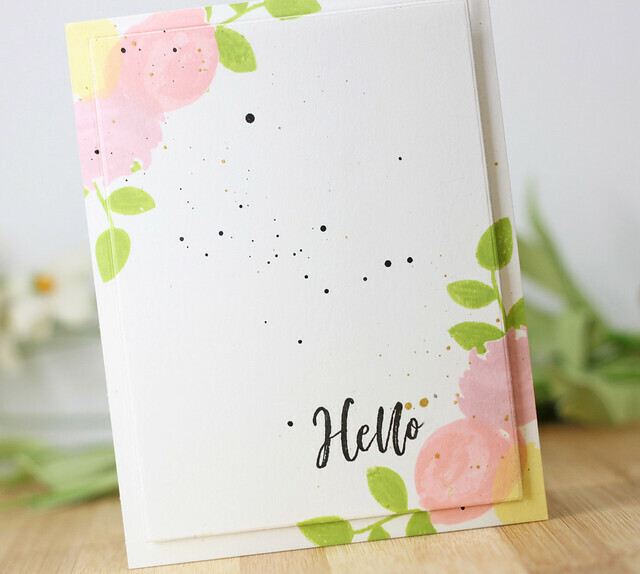 I love this one because it works perfectly for a clean and simple card! 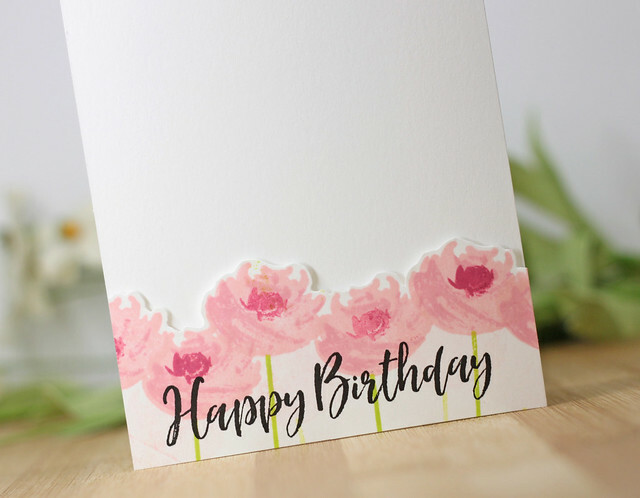 To create this card, I lined the card base with 2 stitched rectangles, one in white card stock and one in a striped pattern paper from the Sweet Celebration pack. Next, I added a strip of Blu Raspberry along the side layered with a piece of vellum. I popped that strip up on foam tape for some dimension. Next, I die Happy Day from the Happy Birthday die and popped that up on fun foam. 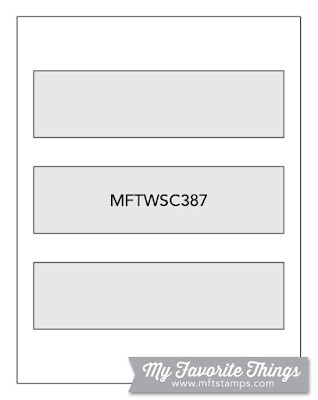 Head on over to the MFT Challenge Blog to play along! Thanks so much for stopping in today!